We congratulate you on your decision to get married, and welcome your interest in celebrating your special day at Holy Trinity Williamstown. Holy Trinity is an historic Anglican parish church, one of the oldest in Melbourne, providing a beautiful setting for a wedding on the Bay. The ceremony will provide the opportunity for you to take your wedding vows in Church, and to ask for God's help, protection and blessing on your life together. We welcome those who wish to take this step at Holy Trinity, and will do everything we can to help this special and sacred day to proceed smoothly. Normally the Vicar, the Rev'd. Bill Beagley, will officiate at the wedding. If you wish to use another celebrant, they must be an Anglican priest, appropriately licensed and registered, and normally a close family friend or relative. However we are open to discussion about ways clergy of other denominations can participate in the ceremony. You should contact the Parish Office as soon as you decide on your date, and preferably after you have booked a place for your reception. Please be aware that there are certain months of the year when it is advisable to book well in advance. If you wish to speak with the parish secretary, she is available in the Parish Office on Wednesday and Friday mornings on (03) 9397 5330. At all other times you are welcome to leave a message and someone will get back to you as soon as possible. Alternatively you may contact the Parish Office by email or complete the Contact Form below. Once you have booked your date, you will meet with the Vicar, and fill in your legal forms. You will need to bring with you an original copy of your birth certificate if you were born in Australia, or your passport if born overseas. If you have been married before, you will need to bring evidence of the dissolution of your marriage. At this meeting planning for the ceremony will also get underway. You do not have to be Anglican to be married at Holy Trinity. However you will be married according to the rites of the Anglican Church, and your celebrant will be an Anglican Priest. It is a requirement of the Anglican Diocese of Melbourne that weddings conducted in this Parish and by the Vicar are between a man and a woman. To be married in the Anglican Church there is an expectation that at least one of you has been baptized. This can be in any Church, not just the Anglican Church. If a previous marriage has ended in divorce, you can be re-married in the Anglican Church once you have provided formal documentation regarding the ending of your previous marriage. FEES: The fee for a wedding at Holy Trinity is $1500. This includes the premarriage counselling course Prepare-Enrich offered by Lifeworks, use of the Church, the celebrant and music director’s fees, flowers in the church, pew bows on the day, the verger, the ringing of the bells and the preparation of all your documentation. A deposit of $750 is required to secure your booking ($500 of which is non-refundable). Final payment will be required 14 days prior to the service. It is very important that you plan to be on time. Although it may have been a custom for the bride to be ‘fashionably late’, this no longer applies, and simply makes the day difficult for everyone else involved in your wedding, including your guests. 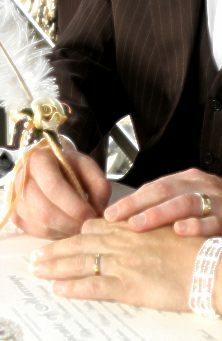 It is particularly difficult if there are other weddings scheduled on the day. Please bear this in mind as you plan your day.